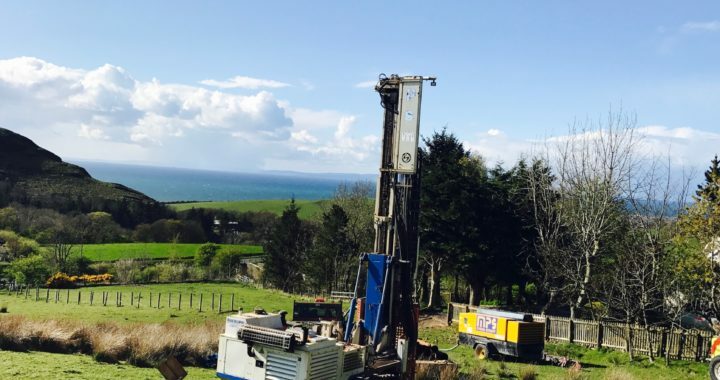 2018 was an exceptional year for us at Raeburn Drilling & Geotechnical Ltd with many new private water supplies installed within the Agricultural, Domestic & Commercial sectors. We executed our goals of turning over a high volume of work whilst still maintaining our high level of customer focus and service. During an intensely dry summer we exhibited at Glasgow’s Home Building & Renovating Show as well as our usual presence at Ingliston’s Royal Highland Show. In addition, we returned to the Agriscot Show in November. Each was a good opportunity to engage with both new and existing customers and to showcase our range of services and commitment to the industry. 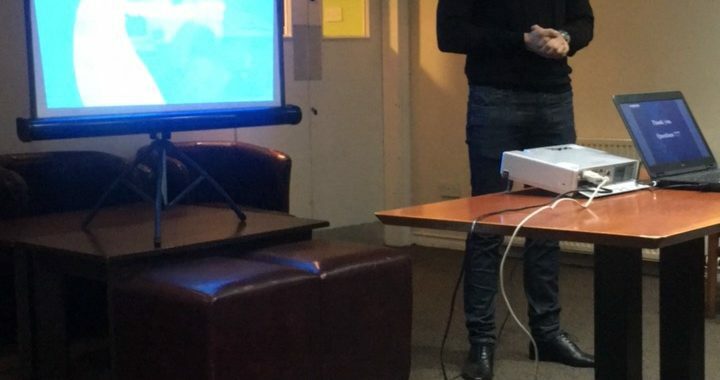 We plan to revisit each of the above shows in 2019 and to expand on our product and service range including water boosting, water filtration and pump sales. We will be remaining active on our websites and social channels throughout the year so please stay posted for future updates. 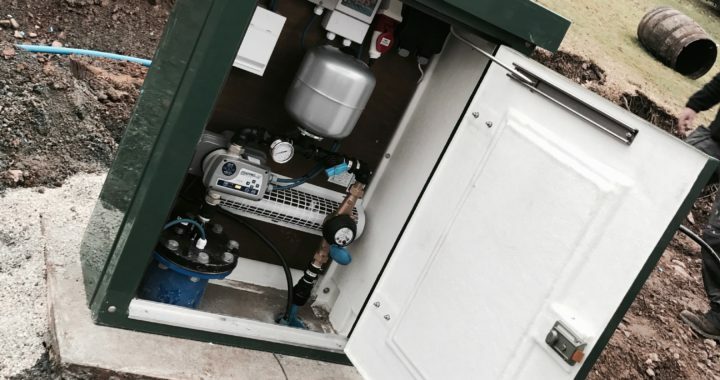 We are delighted to announce that we are now able to offer a water boosting sales and installation service. 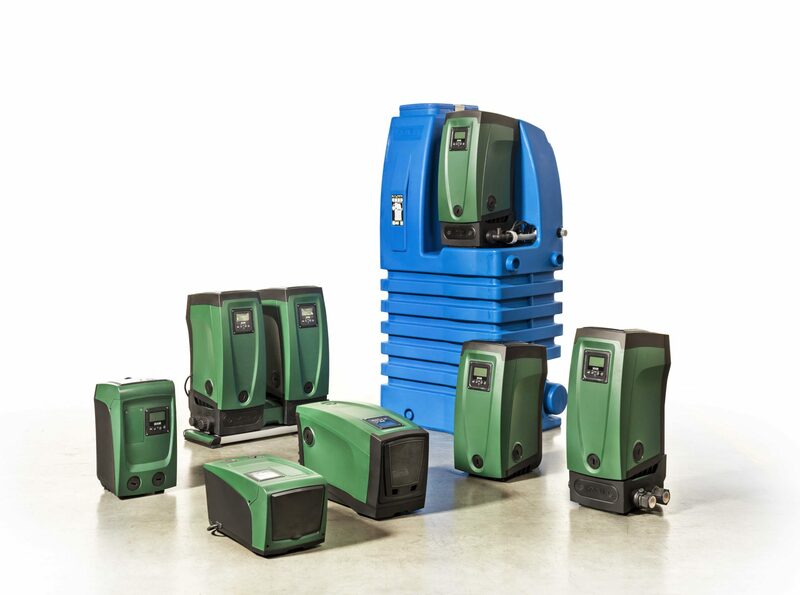 We can provide a wide range of products from suppliers such as DAB, Grundfos, Pedrollo & Caprari. We can also prefabricate these and distribute for self installation. 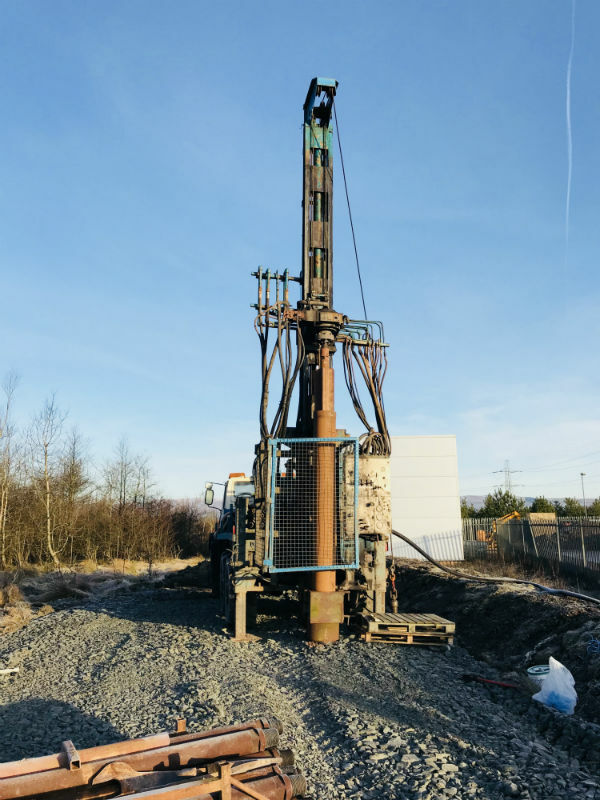 It’s been “a fantastic start to the year” for us at Raeburn Drilling & Geotechnical Ltd. Carrying out two major infrastructure jobs on the A9 Pitlochry & Aviemore has enabled us to grow our business by adding more drilling rigs to our fleet and welcoming new staff to the team. 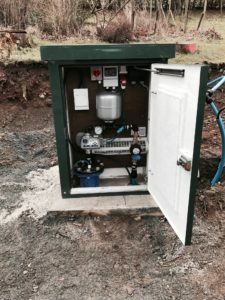 Despite a hold up with bad weather in early March, we have successfully drilled and installed over 20 private water supplies throughout Scotland. These supplies have ranged from Agricultural, to Domestic, and even a few commercial/irrigation sized boreholes. It shows a promising start to the year with many exciting things in the pipeline for us. Once again we are exhibiting at this year’s Royal Highland Show and are also looking at attending and exhibiting at more shows throughout the year. 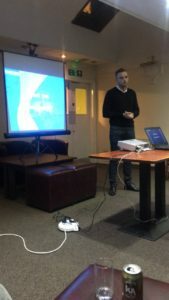 Stay tuned for future updates as we will be remaining active on our websites and on our social forms such as Facebook & LinkedIn with case studies and business updates. 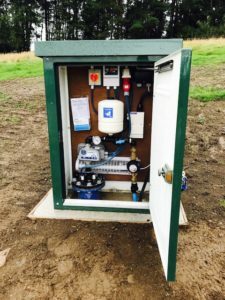 In early 2017 Raeburn Drilling & Geotechnical Ltd were asked to tender for an agricultural private water supply in Balirgowrie, Scotland. 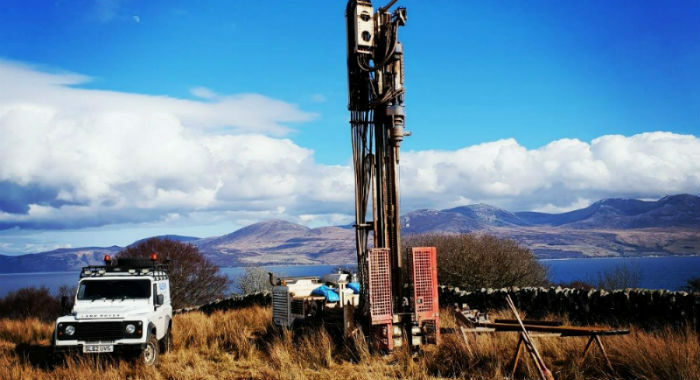 With great delight we were awarded the contract and went on to drill a successful 90 meter borehole producing 4,500 litres per hour, which was divined by Doug Bates of Geodivining International. 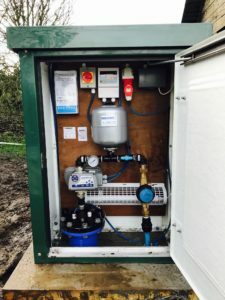 Following the success of the drilling we installed an energy efficient 3 phase borehole pump mounted in an industrial GRP housing unit (right). The system now feeds a tank on the hill and the farm never have to worry about water shortage again. We would like to take this oppotunity to thank out clients a Milton Of Drimmie for choosing Raeburn Drilling & Geotechnical Ltd as their trusted drilling contractor. If you would like more information on private water supplies please contact our team on 01698 711177, we’d be happy to help! 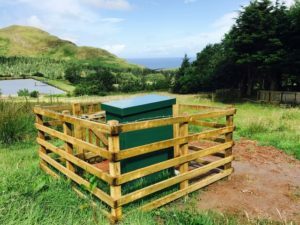 In early 2017 Raeburn Drilling & Geotechnical Ltd were contacted about drilling a private water supply to feed two independant houses in Girvan, South Ayrshire. Following an initial site visit to introduce our client to the waterwell drilling proccess, we then had Doug Bates of Geodivining International in to carry out a survey. After carrying out the drilling works we were able to establish a flow rate which was in excess of 6,000 litres per hour! Following the drilling works we carried out some test pumping works to confirm the yield measured off of the drilling rig and to obtain some clean water samples – which turned out perfect in the end. We then proceeded to install the pump (left). 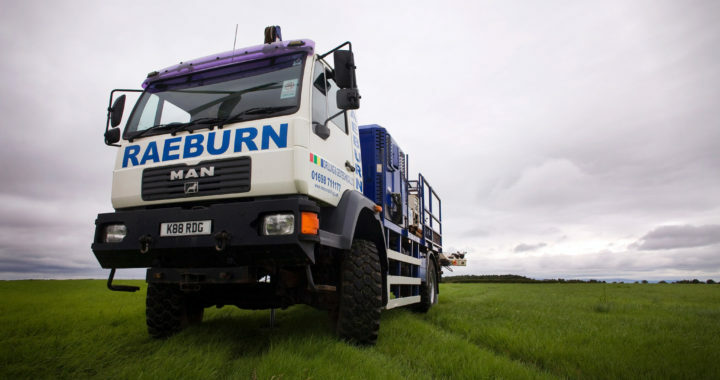 “I am delighted with the competence and performance of Raeburn Drilling. 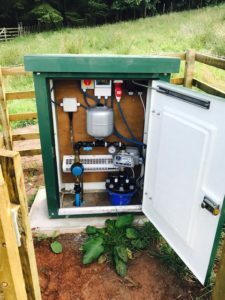 Our new borehole system was completed on time, within budget and with minimal disruption. Jim Raeburn never failed to respond immediately to telephone calls at any time and always has the answers. Highly recommended!”. We are delighted with our clients feedback on our service and the system we have installed. 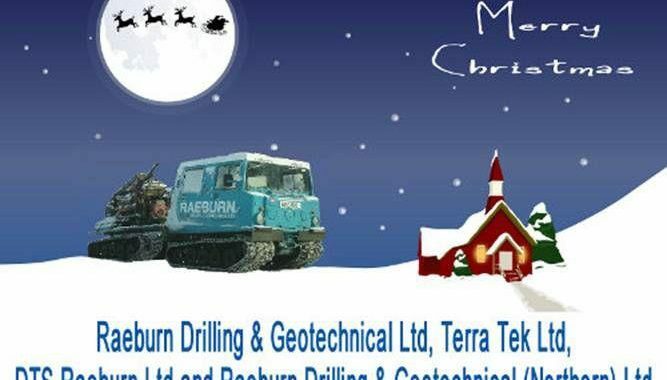 We would like to wish them all he best for the future and thank them for choosing Raeburn Drilling & Geotechnical Ltd as their trusted drilling contractor. For more information private water supplies please contact our team on 01698 711177. Raeburn Drilling & Geotechnical LTD are pleased to announce the award by Transport Scotland of two major roads contracts under the Lot 2 Framework Agreement as part of the A96 Dualling works between Inverness and Gollanfield , and Gollanfield to Auldearn. Raeburn look forward to continuing our good working relationships with Transport Scotland and Jacobs again on this section after Raeburn successfully completed the Preliminary Ground Investigations on both sections in 2016. 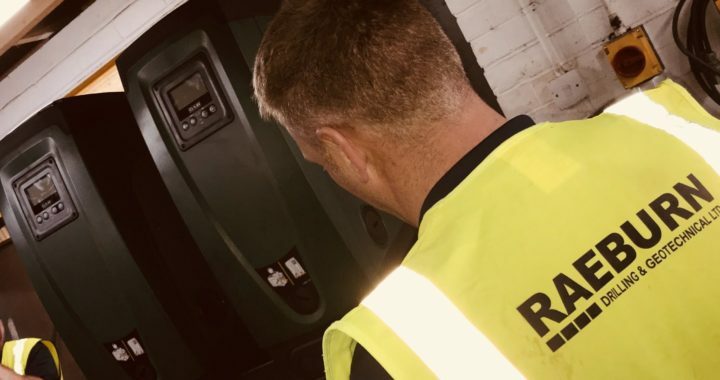 We’ll be working from our new base in Invernes-shire and will be offering competitive mobilisation rates on all waterwell enquiries througout the North and North East of Scotland. For more information please contact us on 01698 711177. In late 2016 Raeburn Drilling & Geotechnical Ltd were asked to tender for a domestic private water supply in Walkerburn, Scottish Borders. With great delight we were awarded the job and went on to drill a successful 50 meter borehole producing 1800 litres per hour. We would like to thank our clients at Cedarwood & wish them all the best with their new private supply. 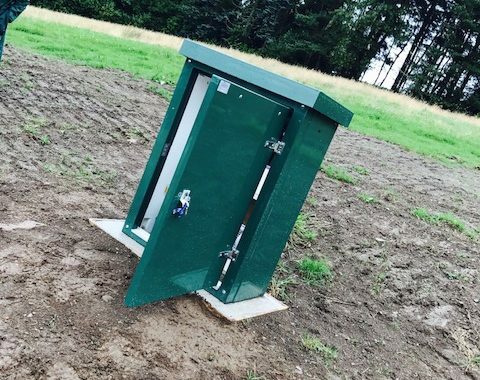 Raeburn Drilling recently installed a private water supply borehole to feed West Lethans House at Knockhill. Prior to approaching Raeburn Drilling our clients had much difficulty with the exisiting supply with no guarantee of quality or quantity. A short time after meeting at the Royal Highland Show we were able to consult Doug Bates of Geodivining International and obtain a geological report and divined location to drill. 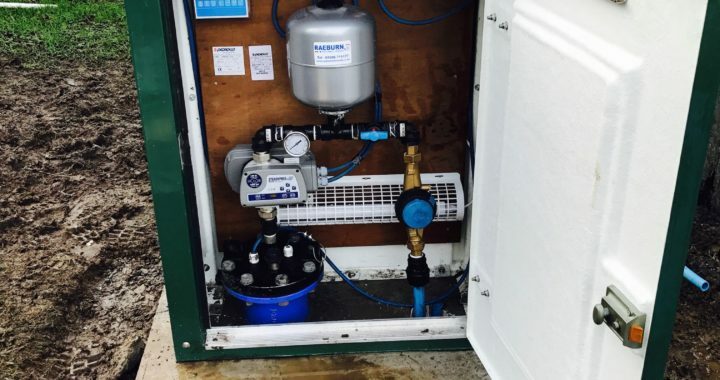 This proved to be very successful as a flow rate of around 3,000 litres per hour was accomplished. (The average household will use around 1,500 per day)! Coming from a returned feedback form, our clients said “the whole team on the job were excellent. It’s nice to work with a company that turns up and deliver on time”. We thank our clients at West Lethans & wish them all the best with their new supply. For more information on obtaining a private water supply please contact our team on 01698 711177. We’ll be happy to help.